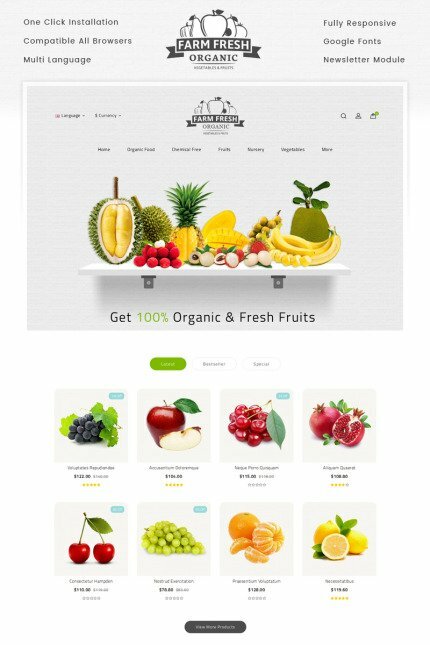 Fresh Organic Store Opencart Responsive template is designed for Fruits, Foods, Grocery, Vegetables, Coffee, Bakery, Organic, Minimal and Multi purpose stores. This theme is lloking very nice with its clean and professional look. The template will work for the advertising agency website creation.